Three people were arrested when two drug-related search warrants were executed early Thursday morning. Office’s Bureau of Criminal Investigation’s Narcotics Division executed the search warrants, which were signed by Tiffin-Fostoria Municipal Court Judge Mark Repp. They were executed at 210 Potter St., the residence of Brian K. Martin, 42, Antwantonyo Romez Waites, 32, and Krista L. Jackson, 40; and at 111 W. Crocker St., the residence of Shela Long, 28, and Andre Holmes, 39, according to a release. The searches yielded money, suspected crack cocaine, marijuana and criminal tools, it states. The release states Waites was arrested on an outstanding warrant out of Lucas County, and Long and Holmes were arrested on warrants out of Tiffin and Findlay. Additional charges of trafficking crack cocaine and possession of criminal tools were pending for Waites and Martin, and additional charges of trafficking crack cocaine, permitting drug abuse and possession of criminal tools were pending for Long and Holmes pending the conclusion of the entire drug investigation and laboratory results, according to the release. Holmes, Long and Waites were taken to Seneca County Jail. 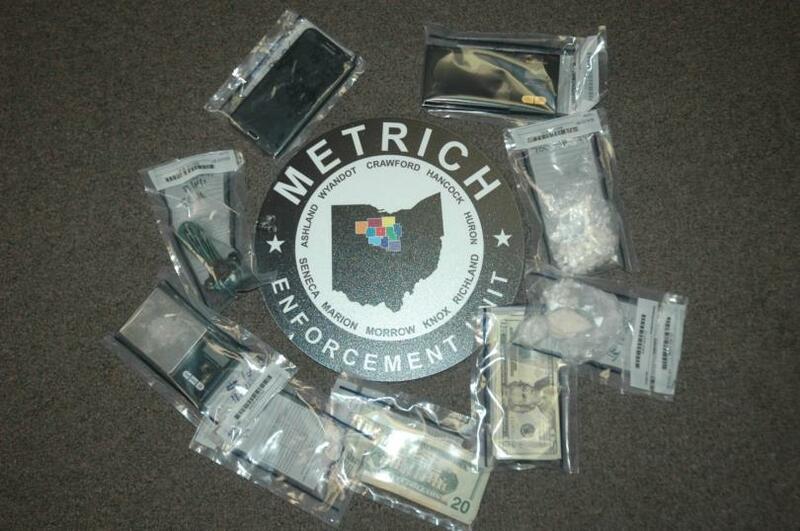 Detective Charles Boyer, unit coordinator of Seneca County Drug Task Force — METRICH Enforcement Unit, said the task force had received information about drug activity, which included complaints alleging crack cocaine was being sold from both residences. He said the operation was a success because they were able to get drugs off the street and nobody got hurt. “That’s what I would consider to be a successful operation,” he said. Originally published in the Advertiser Tribune on January 5. 2018.